One of the worst consequences of the blockade is the generally poor health of the population. The problem is manifest in many ways, beginning with material shortages. With frequent power outages, medical technology – x-ray equipment, for example – operates below capacity. Even where generators are available, they are unable to provide the necessary power for equipment to function correctly. Consumables and drugs such as pain-killers or antibiotics are in short supply. 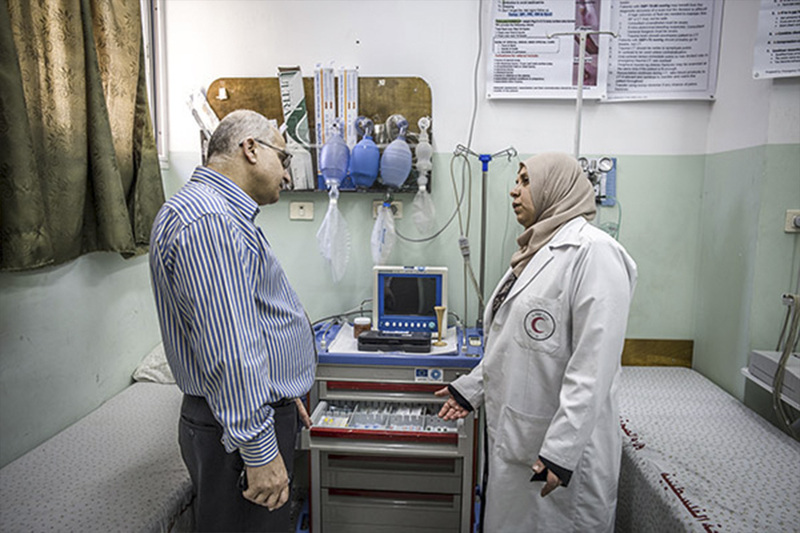 As it’s very difficult to leave the Gaza Strip, doctors are unable to receive proper training. In an attempt to counter this situation, MdM has concentrated its work on emergency readiness (Gaza has had 3 wars in the last 10 years). Doctors have been specially trained in emergency treatment, hospitals and health centres have been equipped with the necessary supplies, and special attention is given to the correct triage of victims in an endeavour to save as many lives as possible. The blockade has also severely affected the mental health of the people of Gaza. Cases of depression, insomnia and even suicide are on the rise. 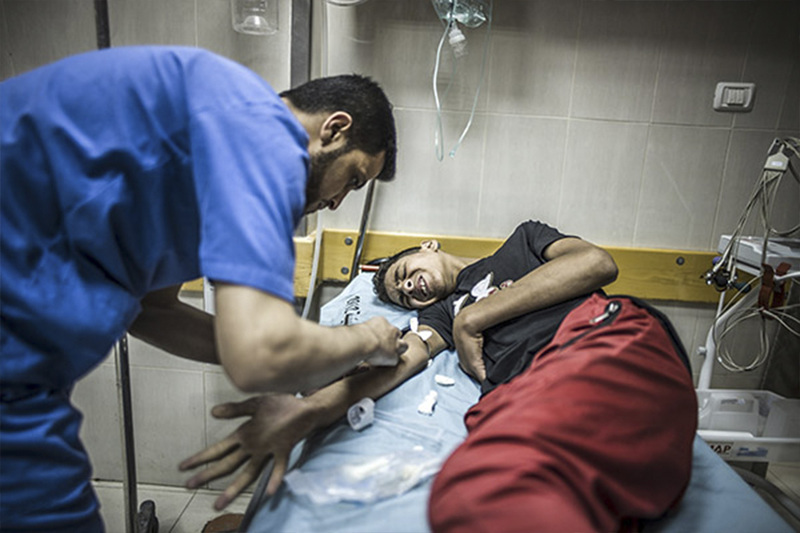 People have even died because of the blockade, their applications for exit from Gaza on medical grounds either refused or approved far too late. Today, not even humanitarian imperatives can systematically guarantee the basic human right to health care anymore. 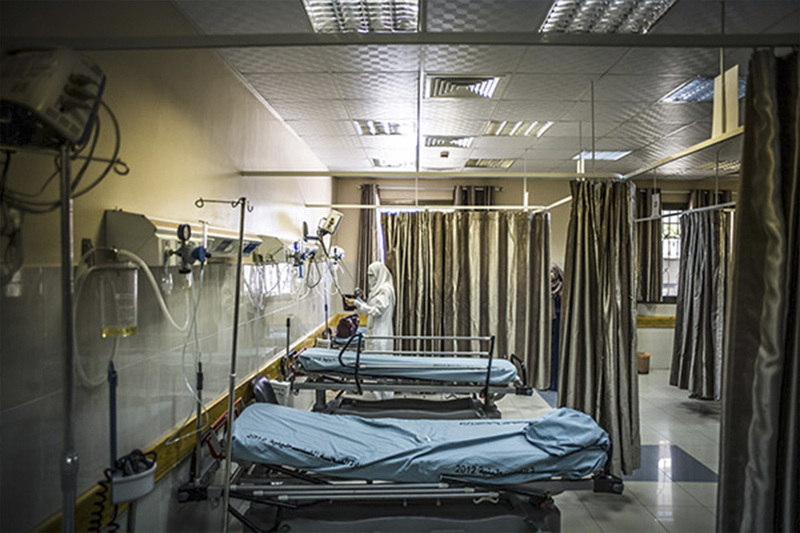 In Nasser hospital in Khan Yunis, the emergency department, which opened 6 months ago, receives 400 patients per day. MdM has given the medical personnel of the Nasser hospital special training in emergency assistance. One of the biggest consequences of the blockade is the shortage of medical supplies and equipment. In addition to hospitals, MdM has also equipped 6 primary health centres with emergency treatment rooms, training their personnel accordingly. With life an everyday struggle just to eat, care for themselves and bring up their children, women in Gaza also have cultural and family pressures to contend with. Few women are free to choose when they want to have a child. Like medicines, contraceptives are in short supply because of the blockade. Abortion is only allowed in extreme cases, and only if a woman’s husband or legal guardian – and the religious authorities – give their consent. Women with cancer bear a double affliction too. Out of fear of being abandoned by their husbands, they often hide their illness from those closest to them. 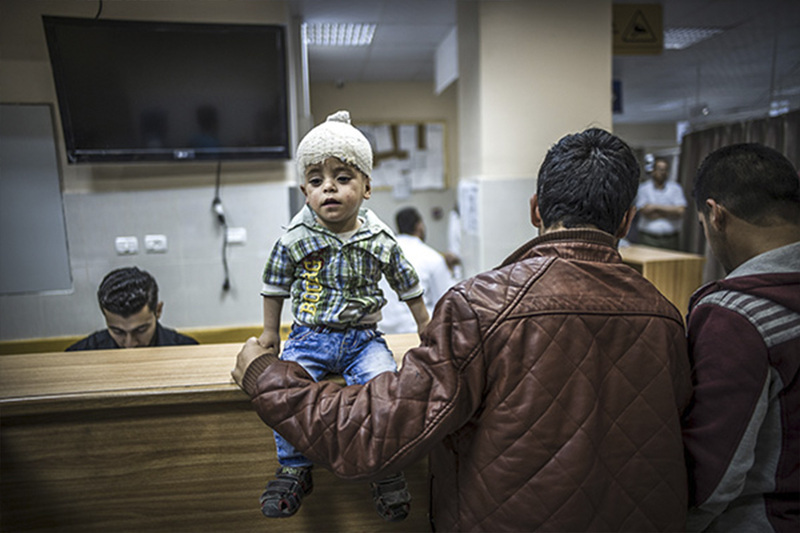 As chemotherapy is not available locally, they have to apply for permits to leave Gaza. But these permits are granted on fewer and fewer occasions, especially when someone in the applicant’s family is on record as a political activist. These women are also pressed by the Israeli authorities to act as informants, which they refuse to do. And so they become hostages of politics as well as illness. Unable to receive proper treatment, only 50% of Gazan women with breast cancer – which represents one case of cancer in every 10 – survive. In Israel, the recovery rate is 80%. 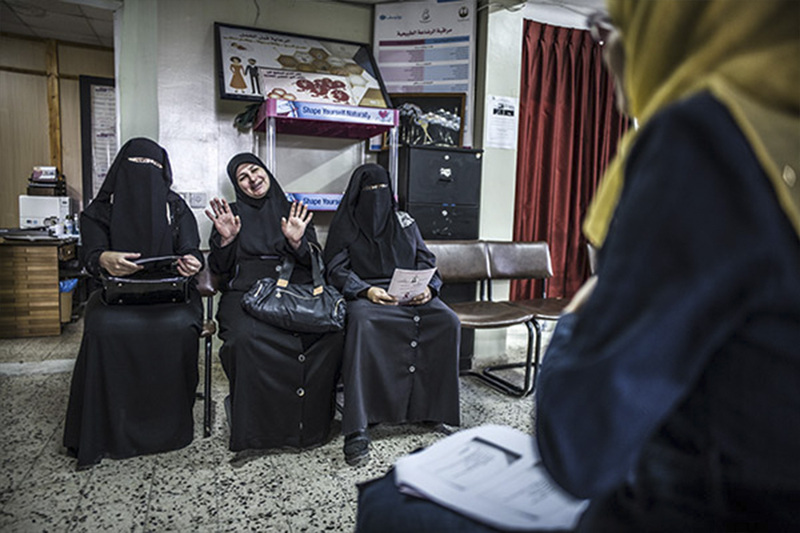 The Gaza association CFTA (Free Thought and Culture), a long-standing partner of MdM, holds confidence-building talking sessions designed to help women overcome the difficulties they face. 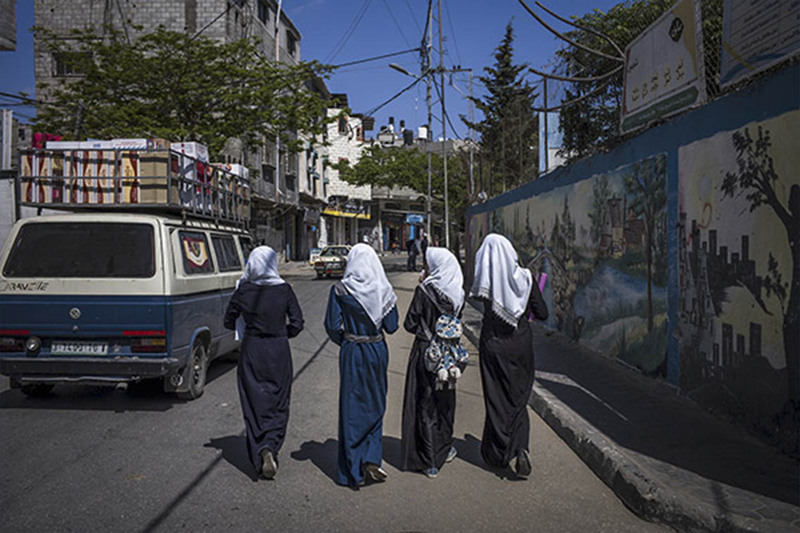 The issue of unwanted pregnancy is still a major taboo in Gaza. Awareness-building sessions and debates are regularly held in CFTA centres, like this one in the Al Bureij refugee camp. In Gaza, certain areas near the frontiers are subject to access restrictions unilaterally imposed by Israel with no legal justification. In these buffer zones that encroach upon Gazan territory, Israel reserves the right to act as it sees fit, including recourse to the military. Implemented for “security” reasons along the land frontier and also at sea, these restricted areas – where thousands of farmers and fishermen work and gain their subsistence – are frequently the scene of shootings by the Israeli forces. Almost 10% of the population of Gaza is directly affected by this situation, and incidents occur regularly. At sea, it’s very difficult for fishermen to know if they’ve strayed into the restricted zone – even though most attacks have occurred inside authorized zones. With six Israeli military boats on permanent patrol, even the horizon is closed. On 15 April 2017, Fadi lost his brother, shot dead by Israeli soldiers. Fadi’s been fishing with his family for 15 years now. In that time, he’s been attacked on four occasions and his boat confiscated ten times or more. But he still loves his livelihood, so does Mardleen. The only fisherwoman in Gaza, she too has been the victim of violence. She has taken first aid training with MdM teams so she can help her community and be an individual in her own right. 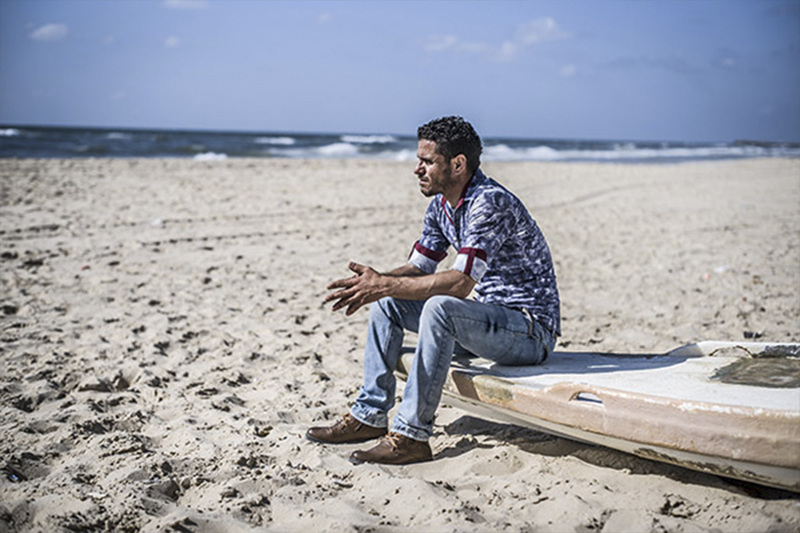 Fadi is one of 3,750 fishermen now working in Gaza. They are regularly attacked by the Israeli security forces. He lost his brother in one such attack. Mardleen was wounded at sea a few months ago, and has decided to train in first aid with MdM. WHAT FUTURE FOR THE YOUNG PEOPLE OF GAZA? The youth and the talent are there. Educated and well-trained, the under 18 youth of Gaza accounts for over half of the enclave’s population. But in a territory that’s crying out for development, over 60% of young people are unemployed. As Assma, 20, observes: “We live an extraordinary life in Gaza. We can’t think about tomorrow, otherwise we’d go mad”. 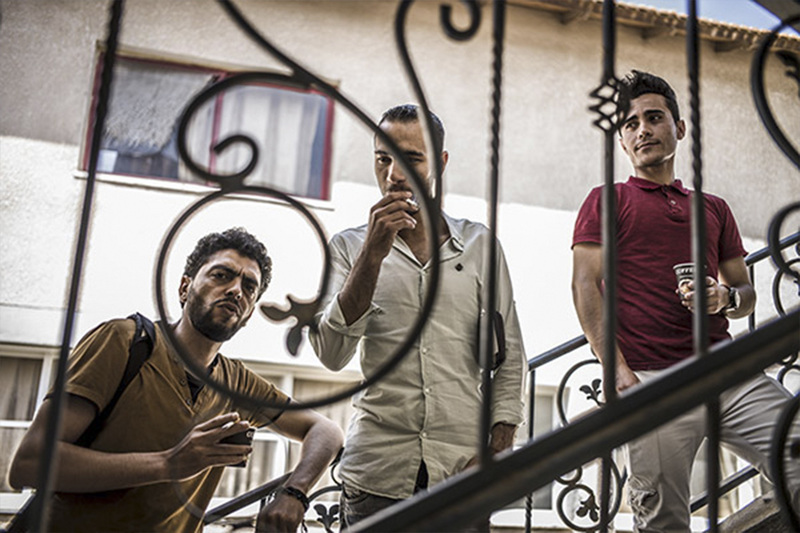 For Youssef, “you have to be very strong to live in Gaza, but the Palestinians are resilient”. The only way out of this open-air prison are the Internet and social networks. 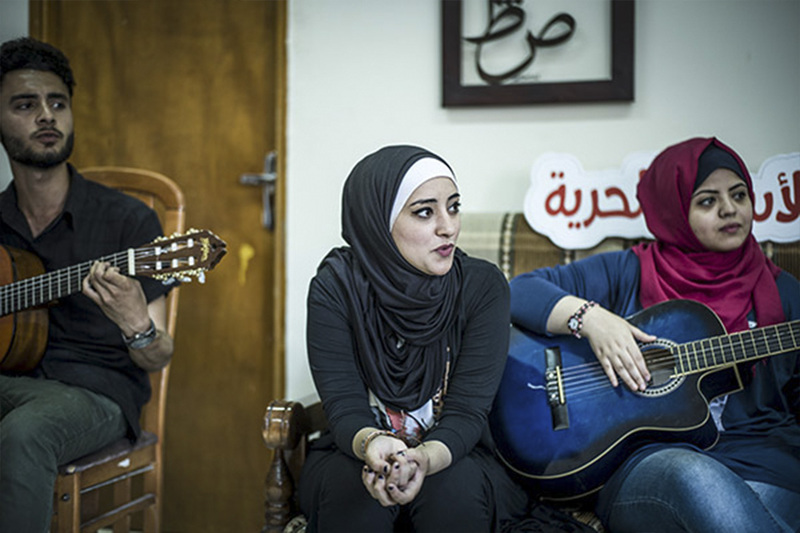 Even music is subject to restrictions, as Hamas only allows traditional Arabic songs. Yet there is hope. Majeda Al Saqqa, the charismatic founder of NGO Free Thought and Culture (CFTA), says: “One day we’ll regain our rights, for everything’s illegal here and I believe in justice. It may take 10, 20 or 50 years, no matter. These are very short times on the longer scale of History, which will prove us right.” CFTA organizes social and psychological wellness sessions in its 5 centres to increase the resilience of young Gazans. Thanks to the support of CFTA, these young men have set up a local radio station to express their views on their daily lives. 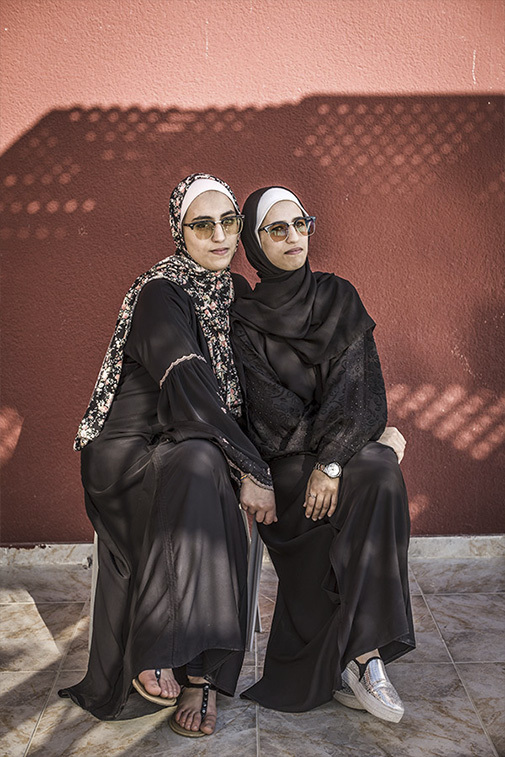 Assma and Saga are twin sisters aged 20. Both study architecture. They dream of pursuing their studies in Lille.